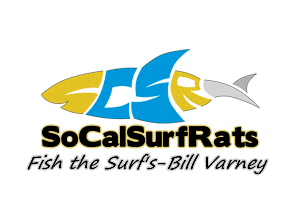 Carlsbad Surf + Aqua Hedionda Lagoon-January 8 - Blogs - Surf Fishing California - How to Surf Fish & Surf Fishing Reports and Tips. I decided to make some bait out of him. Went to Aqua Hedionda Lagoon just on the other side to see what was biting there.. Cut up some of that jack smelt and threw it in right at the mouth of the lagoon. Instantly my rod bent. So much I thought I was stuck on some plants. Soon I found out different and I brought out a really nice Spotted Bay Bass. Too bad I dont have a pic of him. FYI this was right after the dredging they did so there was no luck at that spot after that nice catch. Well that was another good day of fishing!!!! Good luck out there guys!!! That's an amazing venture. Cut bait for Bass and Hali... that is amazing.